Billy and I have been dining out a-lot lately; breakfast, lunch, snacks, dinner, you name it! I try to make wise food choices, but how do I turn down a buttermilk batter, fried portabella mushroom sammie topped with cheese and pesto…you tell me?!! I feel like a big ol’ bowl of greens helps me get back in line and back on track. Since it’s summer, fresh kale from the farmer’s market and local summer fruit are what I crave. 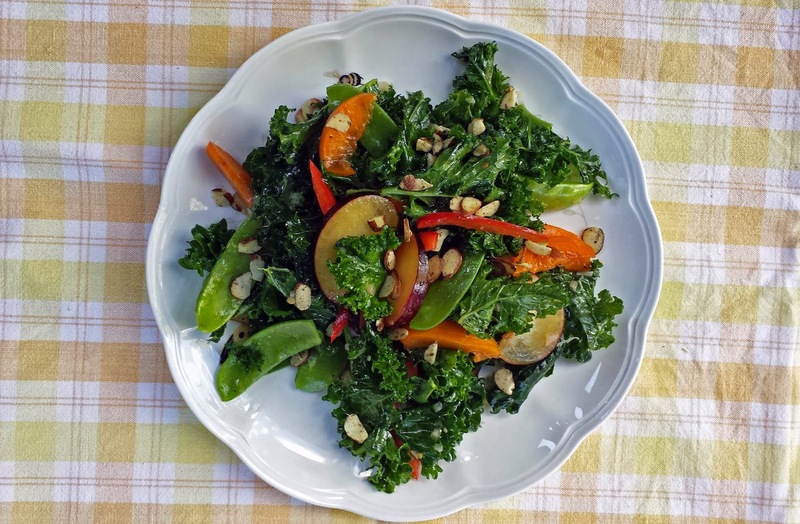 I used apricots and plums; but peaches, nectarines and or cherries would also be really good in Kale and Summer Stone Fruit Salad. The dressing for this salad uses quite a lot of shallots, the shallots taste pickled in this low-fat dressing. Some folks massage their kale to soften it, but I’d rather receive a massage than give it (Sounds selfish, I know.) so I dress just the kale and leave it overnight in the refrigerator to soften the kale, though just a few hours will be okay. The great thing about this recipe is that it makes a whole whack, and that the salad is fine to sit in the fridge for three or four days. 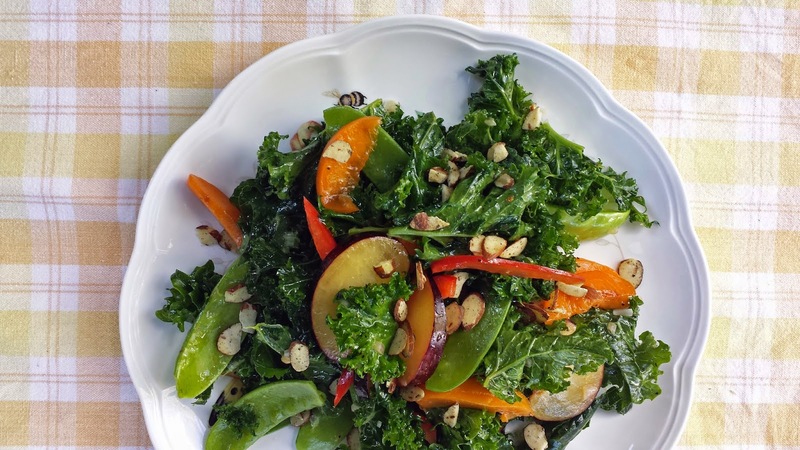 I can eat Kale and Summer Stone Fruit Salad for days and feel good about my eating again! 1. In a small bowl, whisk together the first 9 ingredients. Pour the olive oil and canola oil into the first ingredients in a slow steady stream while whisking continually. Season with salt and pepper to taste. *You may also just add all of the ingredients together to a jar, close the lid tightly and shake the jar for a minute or two until the ingredients are emulsified. 1. In a large bowl, combine the kale with ¾ cup of the dressing and a couple of pinches of salt & pepper; toss well to coat and refrigerate for at least an hour, or even better overnight. Marinating the kale will help to soften the tough kale; and don’t worry, it won’t be mushy like lettuce. 2. When ready to serve, add the remaining ingredients to the salad as well as the remaining dressing. *Notes: This salad will be terrific with any combination of stone fruits including fresh cherries, peaches, and nectarines. 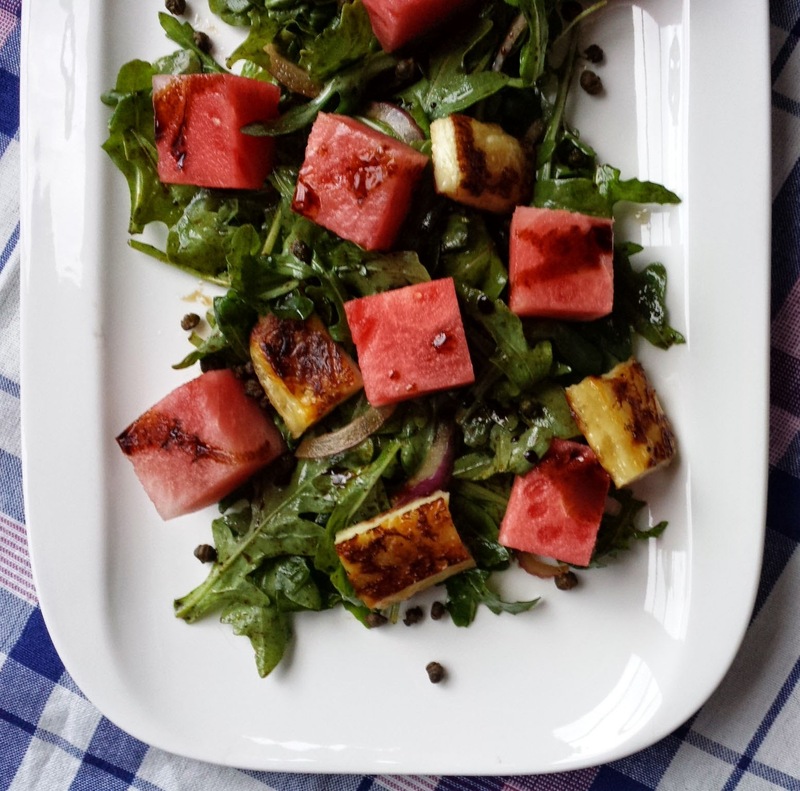 Because of the sturdiness of the ingredients, the salad will keep well for 3 or 4 days in the refrigerator. I need to get some kale this week. Your salad looks super duper delicious and good for you too! 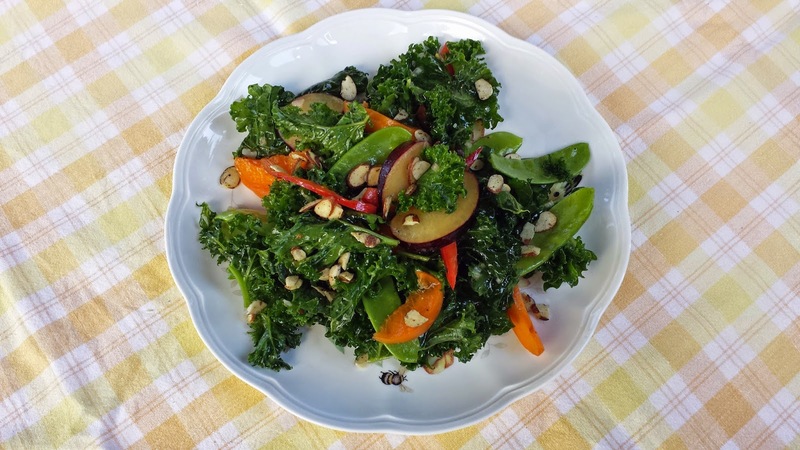 What a wonderful salad, thanks for this wonderful recipe, have tons of kale left in the garden, love the dressing!! oh! color power! it looks insanely delicious! A totally big bowl of YUM! 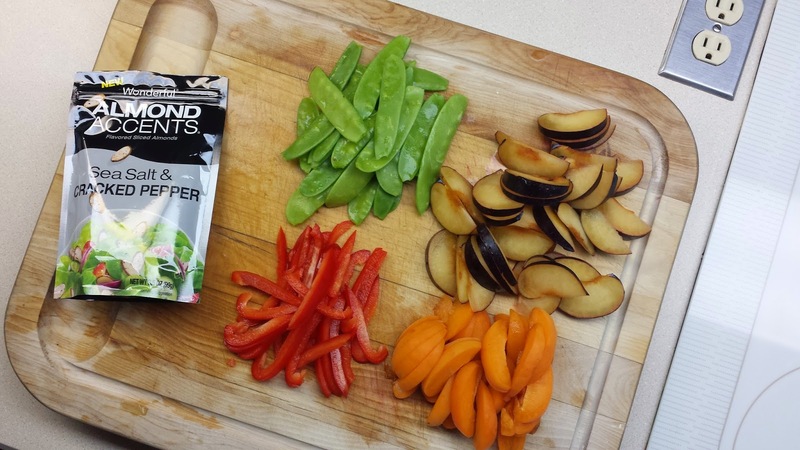 The mix of fruit and greens sounds super tasty.